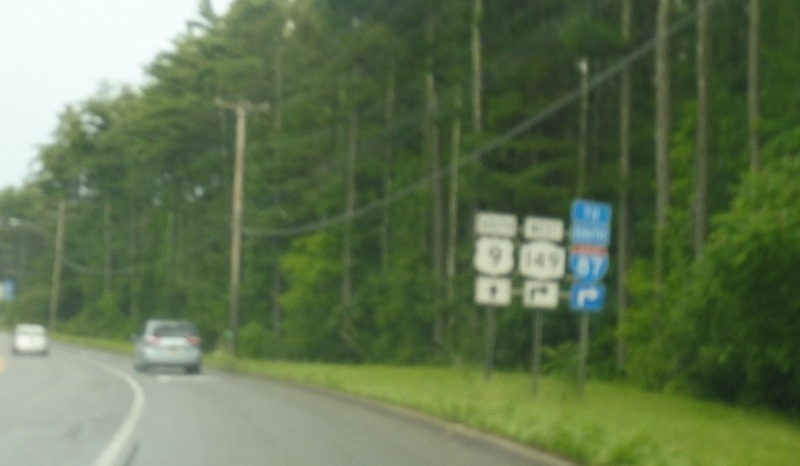 Reassurance shield after the I-87 north junction. 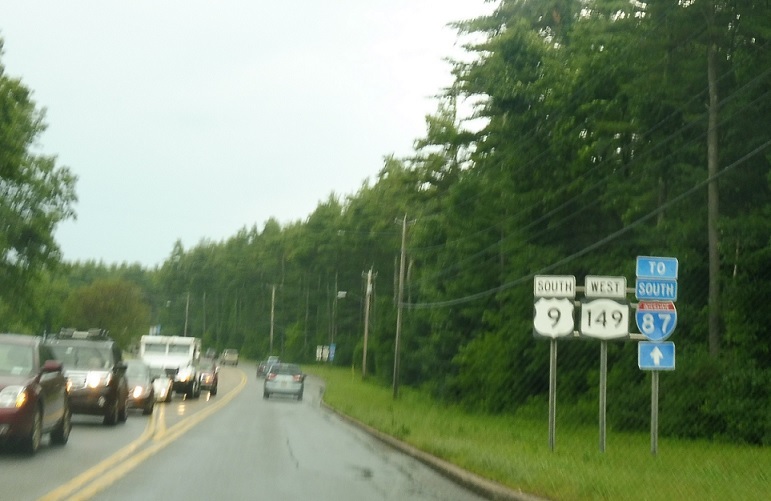 Just after that, turn right for NY 149 west, which connects to I-87 south. 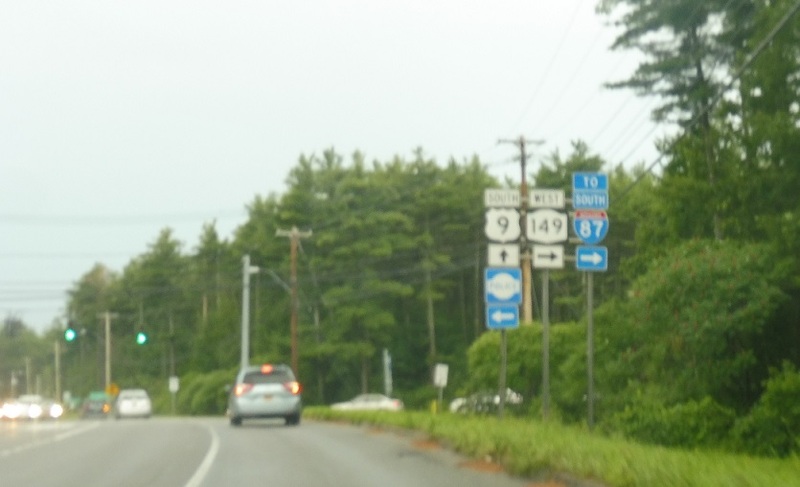 Turn right for 149 west to I-87 south.